A catalyst for mindful urban transformation and creative redevelopment for equitable and livable cities. Place Lab is a team of professionals from the diverse fields of law, urban planning, architecture, design, social work, arts administration, and gender and cultural studies. A partnership between Arts + Public Life, an initiative of UChicago Arts, and the Harris School of Public Policy, Place Lab is a catalyst for mindful urban transformation and creative redevelopment. Led by renowned artist and University of Chicago faculty member Theaster Gates, this joint enterprise merges Chicago Harris’ Cultural Policy Center’s commitment to cultural policy and evidence-based analysis with Place Lab’s work at Arts + Public Life on arts- and culture-led neighborhood transformation. Since its establishment in 2014, the team has worked to document and demonstrate urban ethical redevelopment strategies initiated through arts and culture. Place Lab is based in Chicago, extending much of the team’s project management, design, programming, real estate, community building, and documentation acumen towards advancing arts and culture place-based projects on the mid-South Side of Chicago. 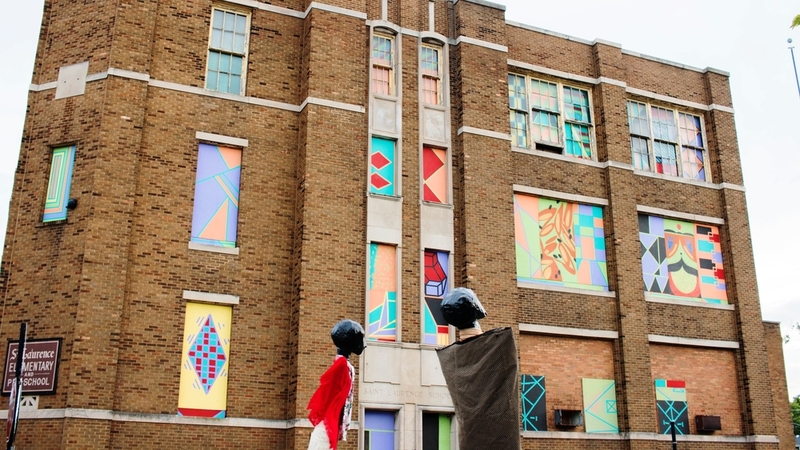 Place Lab observes the spaces that Gates reimagines, supports their programmatic activation, captures methods, and shares findings with the partnering demonstration cities of Gary, Akron, Detroit, and other Knight Communities. This work situates artists and creatives in conversations about the urban context. To effectuate policy change, Place Lab amplifies artistic innovators as civic leaders. In order for cities to develop in mindful and equitable ways, artists must be integrated into shaping neighborhoods and public spaces. Looking for the University of Chicago Harris School of Public Policy’s Cultural Policy Center archive of publications, Digest, and events archives? Link here.